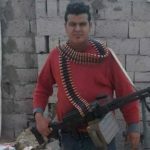 The facts are these: Bahaa Gamal Mikhail Silvanus, 23 and a conscript in the Egyptian Army, was found dead June 24 in a chair in the office of the military base where he was stationed. There were two bullet wounds in his chest, and a gun at his feet. One more fact: Silvanus was a Christian, the only one in his unit stationed at Suez. The Army says Silvanus killed himself. His family, friends and church pastors don’t believe it, for two reasons: First, they say, Bahaa Silvanus was a happy man with a strong faith, a college degree in music and plans to enter the monastic life. Second: Someone who kills himself with a gun never shoots more than once. The Army – and the Egyptian media – have said little publicly about the death of Silvanus. Meanwhile, hundreds of people attended his funeral June 25 in Silvanus’ hometown of Rezkit Deir Al-Muharraq, in the Assiut Governorate in Upper Egypt. The family is demanding a government investigation into his death. “My son was killed by someone. He didn’t kill himself,” said his father, Gamal Silvanus. The elder Silvanus was not in Egypt when he learned his son was dead. He was in Kuwait, where his job is located. It was his cousin, Milad Fekry, who delivered the news. The officer looked over the musical instruments and asked questions: Did Bahaa Silvanus have any enemies? Had he argued with anyone recently? How was his state of mind? Fekry told World Watch Monitor the family thought maybe their boy was being checked out for musical duty somewhere in the Army, possibly close to the president. They asked the officer directly: Why all the questions? “He answered nothing,” Fekry said. Later in the day, Fekry said, he received a visit by a member of the village administration, who told him the intelligence officer had left instructions for the family to pick up Bahaa Silvanus’ body in Cairo the following day. The administrator did not explain how Silvanus had died. 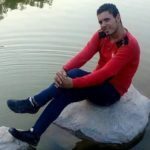 At the morgue early June 25, an Army captain, whom Fekry identified as Ibrahim Mahmoud, told the assembled family that Silvanus’ body had been discovered at 5:30 a.m. the previous day. Mahmoud said it was a suicide. Yet, according to Fekry, the captain also said Silvanus had good relationships with the other soldiers in his battalion. The day before he died, he played the flute in a rehearsal for an upcoming celebration of the Egyptian Army’s 1973 victory over the Israeli Army. The colonel praised Silvanus’ playing, according to Fekry’s account of what Mahmoud told the family. Silvanus obtained a music-education degree from Assiut University in 2014. Before reporting for his year of obligatory military service in early 2015, he had been a frequent singer at church, and took care of the musical instruments for the three Coptic churches in his town, said Rev. Shenouda Samir, a priest of Archangel Mikhial Coptic Orthodox Church in Rezkit Deir Al-Muharraq. VIDEO: Bahaa Silvanus leads music at a conference in his hometown, Rezkit Deir Al-Muharraq, at Mar Girgis Coptic Orthodox Church. Also featured in the video is Rev. Bishoy El-Kamos Loka, a priest at the church. “A person who commits suicide is a disappointed and desperate person, but Bahaa was in a very good spirits,” said Rev. Mikhial Shenouda, senior priest of Archangel Mikhial. “He was smiling always. He was keeping the word of God.” His father said his son had told him he planned to finish his military obligation, work for five years to help support the family, then join a monastery. As relatives looked upon Bahaa Silvanus’ body, they noticed wounds at the top of his forehead, as if he had been struck by a hard object, Fekry said. An autopsy report is expected within a month, he said. No evidence has yet emerged that demonstrates conclusively Silvanus was killed for the simple fact that he was a Christian. But a friend of his in Rezkit Deir Al-Muharraq, who asked that his name not be used, said Silvanus confided he was regularly pressured by other soldiers in his unit. Then, on June 14, Samir said, he and two other priests in Rezkit Deir Al-Muharraq received a text message from Silvanus, “asking us to earnestly pray for him.” A little more than a week later, on June 22, he called his mother on his cell phone, and asked for her prayers, too, his father told World Watch Monitor. The funeral, held in Archangel Mikhial Coptic Church just hours after the family had received the body in Cairo, was packed with mourners. Silvanus’ friend was among them. “We lost a sweet spirit and a beloved friend,” he said.